You guys. Thanksgiving was five days ago and I am STILL trying to unstuff myself from all the amazing food I had over the weekend! I am normally a very healthy eater but there is just something about that holiday that makes everyone go a little overboard. 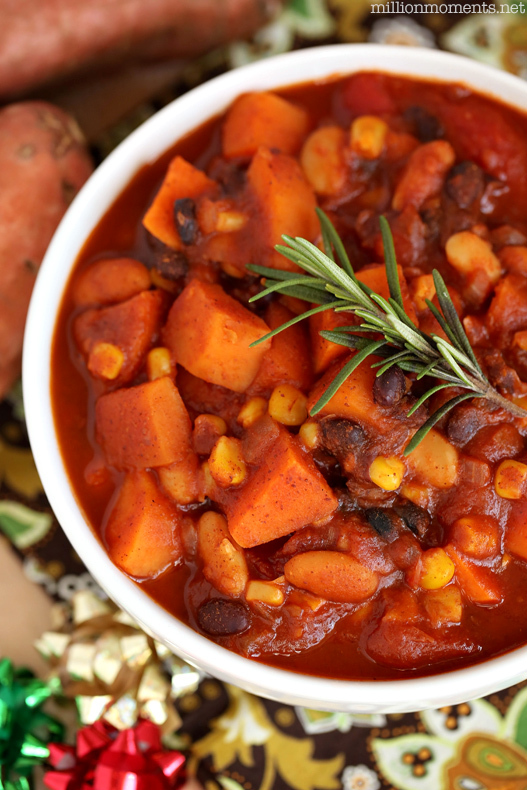 With Christmas right around the corner and inevitably more irresistible indulgences going on I wanted to talk about sticking to nutritional goals during the food filled holiday and share a super easy recipe for sweet potato chili! 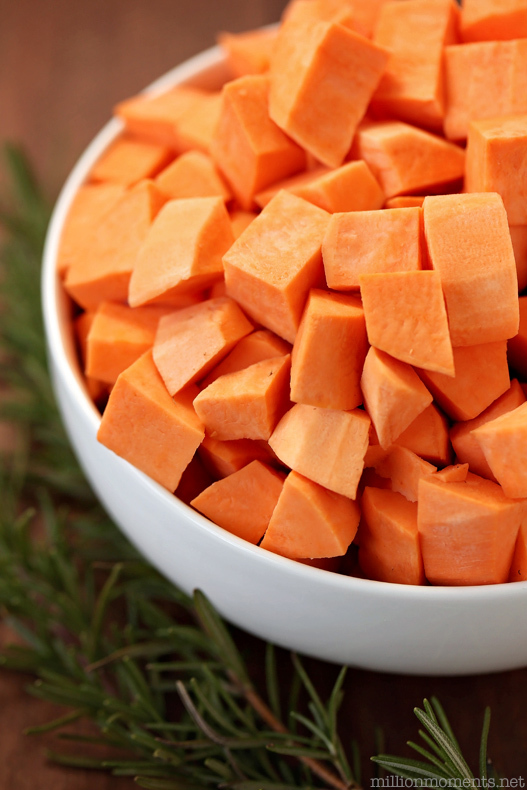 I’ve been a vegetarian for just over ten years now, and during that time I have done my fair share of experimenting with different proteins and have come to the conclusion that the sweet potato is (in my opinion) absolute perfection. You already know how much I love them so I will spare you my love letter, but these babies are a superfood powerhouse and they are my #1 choice for building healthy recipes around. Oh yeah, did I mention how versatile they are? They have a a rich, rustic sweetness that pairs well with SO many different types of cuisine – tacos, burritos, appetizers, pastas, sandwiches, and best of all good old fashioned soul food. But how do you indulge without feeling guilty? Well, you can start by educating yourself on smart nutritional choices. 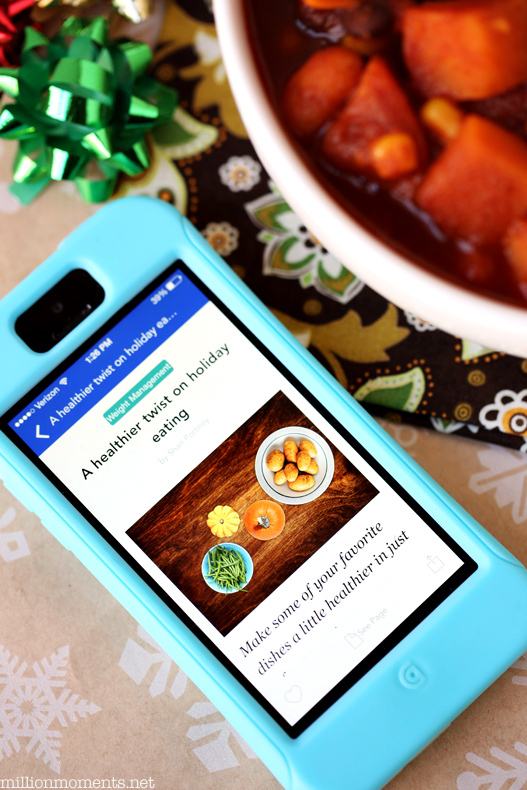 There are tons of resources out there but a great one I stumbled on after my weekly stock up trip to Sam’s Club is their Healthy Living Made Simple app. It’s full of tips and ideas for a healthy lifestyle, and I can read it while I’m sitting in the car line to pick up Judah from school or any time I get a few spare minutes. 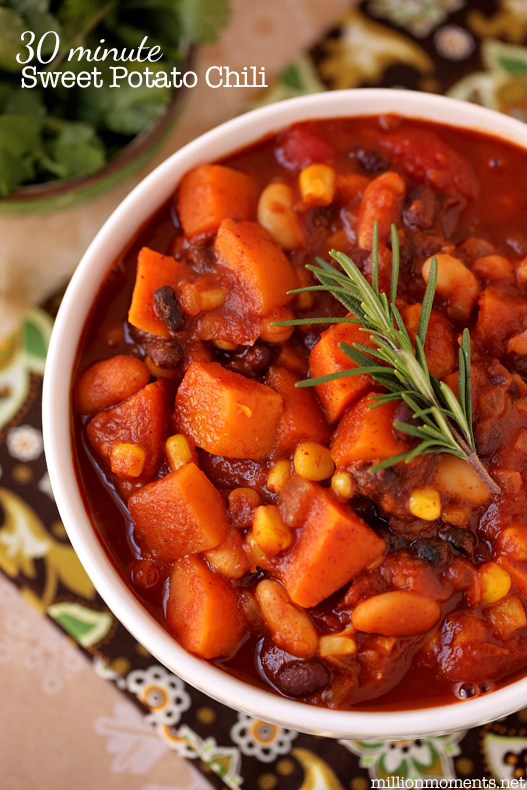 I was walking through the store skimming the app when I stumbled on an amazing recipe for sweet potato chili, and of course I just HAD to try it out for myself so I went ahead and grabbed the necessary ingredients to make it for dinner that night. I am very particular about my chili, so I ended up swapping out a few ingredients with my go-to’s and what came out of it was the most amazing chili to ever come out of my kitchen! I am completely serious – even Kaia gobbled it down and she doesn’t eat much at all. So let’s get to the recipe! 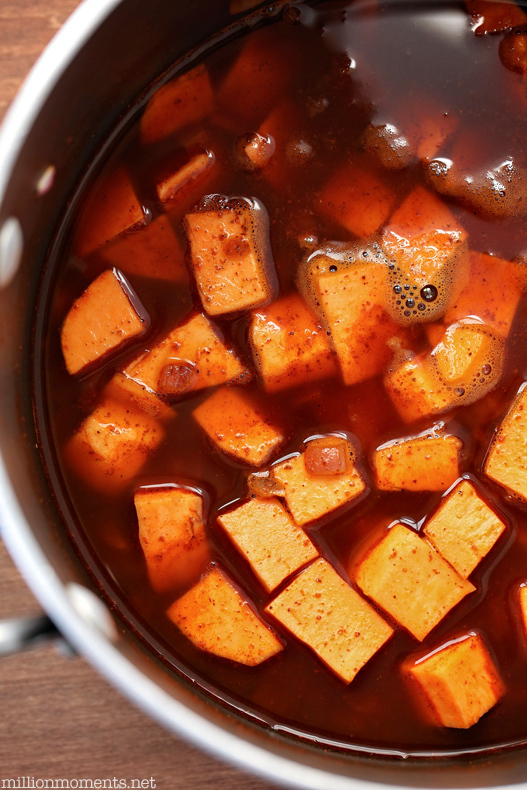 Your first step is going to be to dice your sweet potatoes and onions and set them aside. I like to cut the sweet potatoes into 1/2 inch cubes and then the onions smaller than that but you can do whatever size you would like. After that heat the onions on medium high for about ten minutes until they are a nice golden brown then add your sweet potatoes and vegetable broth. Cover and simmer on medium heat for another ten minutes. Lastly, add in all remaining ingredients and simmer for another 10 minutes until sauce thickens. Guess what? You’re chili is finished! Now grab some bowls and dig in! That was SO simple, right? And it’s so much better for you than a lot of the more popular dishes this time of year. Not only does it save you time, but it saves your waistline too! Just be sure to keep portion sizes and balancing your dietary routine.